Family Health and Sports Medicine was founded in 1983 by Dr. Al Puerini on Park Avenue, Cranston, RI. As an avid runner, Dr. Puerini's goal was to provide the community with high quality primary care and to promote a healthy lifestyle through exercise and nutrition. Sharing the same passion for helping families live healthier, Dr. Mark Rosenberg joined FHSM in 2003 in its Reservoir Avenue location. Dr. Jeff Wilson brought his expertise in primary care and sports medicine to FHSM in 2005. Our board-certified Family Physicians are devoted to the health care of patients of all ages. We provide annual physical examinations, well child check-ups, same day sick visits, sports injury evaluations, minor surgical procedures and chronic disease management. Drs. 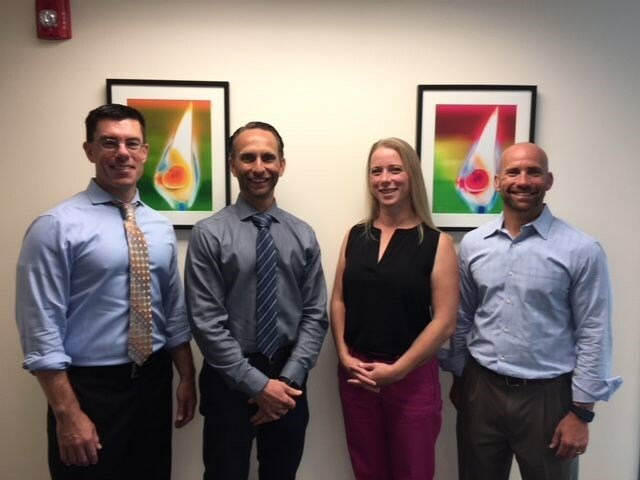 Puerini, Rosenberg, and Wilson have all been appointed Assistant Professors of Family Medicine at Alpert Medical School of Brown University. FHSM moved to its current location on Sockanossett Cross Road in January 2015. Their new office is conveniently located with on site lab and x-ray services. Did you know our doctors are the Team Physicians for the Providence College Friars and Johnson & Wales Wildcats?